The third episode of Sky Arts Landscape Artist of the Year saw another group of hopeful painters gathering at Waddesdon Manor in Buckinghamshire. The beautiful house was built in the Neo-Renaissance style in the 1800s for Bardon Ferdinand de Rothschild, and was gifted to the National Trust by James de Rothschild. The manor is surrounded by stunning gardens and held another round of hopeful painters as they captured the heart of Waddesdon on canvas. The winner of the third episode was Nerine Tassie, a painter who graduated from the Edinburgh College of Art with a sell out show. 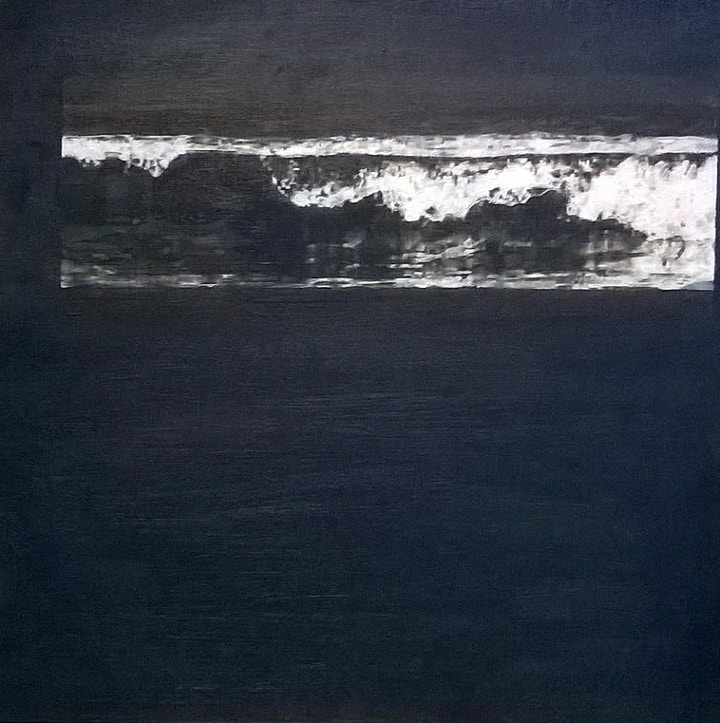 Now an art teacher, too, her landscapes are haunting and atmospheric, exploring forests, seascapes and skies with intricate scenes of dark and light. Nerine is now one step closer the semi-final of of Sky Arts Landscape Artist of the Year. We caught up with her about what it was like painting in front of the cameras, and why she is so driven to paint. Hi Nerine. Congratulations on winning your heat! Were you pleased with your finished painting? Thank you! It was an amazing experience to be part of and I was really surprised to go through especially considering the quality of work produced by the other artists. I was pleased with my finished painting. I’d made peace with the fact that for me I wouldn’t be able to complete a fully finished studio painting in the time given so I’d have to adapt my practice to suit the conditions. I just focused on trying to communicate my compositional ideas and my painting style and technique but using an adapted approach. Did you train as an artist or are you self-taught? I trained at Edinburgh College of Art as a fine artist. I realised I wanted to specialise in painting during my first year at Edinburgh. I really enjoyed being in the painting school and having the opportunity to solely focus my time exploring this medium. My work would range from very small pieces to huge panels of canvas but I loved the physicality of painting and being able to experiment with a whole range of materials to create different surface qualities within my work. Which kinds of paints do you use and why? 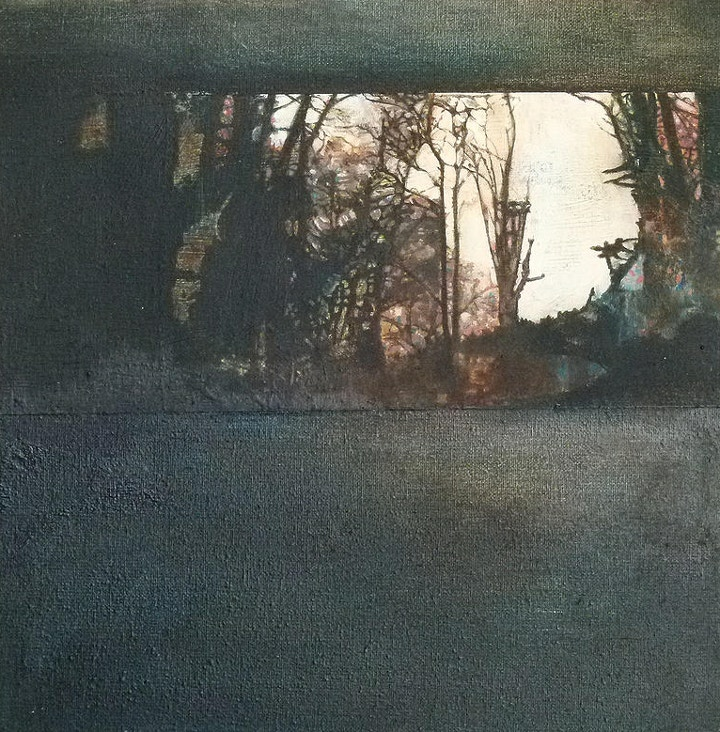 I love experimenting with a range of materials specifically within the ground layers of my work. I’ll use base grounds of acrylic then sometimes work over that in enamels or shellac because the mixture between these materials creates unusual textures and colour patterns within the ground. 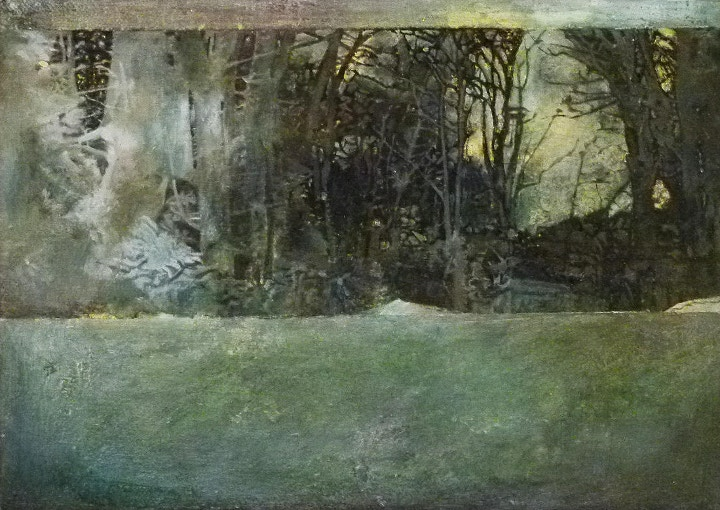 I then work in layers of oil, developing the imagery within the painting. For me it’s a time consuming process because of the drying time required and the layering of different materials but I like the depth that this creates within the work. I’ll use Daler Rowney acrylics but for oil painting I’ll interchange between Winsor and Newton Artists' Oil Colour and Daler Rowney Georgian depending on the colour I’m using. Was it strange painting to a time limit and in front of the cameras? I found it really strange painting to a time limit. In my normal practice I can spend upwards of 12 hours on a piece of work, even a small scale piece because of the initial compositional planning involved and the time spent layering paints. I’d usually have some thinking time over a painting and would be able to come back to it or work on pieces simultaneously. Working to a 4 hour time limit was very much out of my comfort zone but it was a great challenge! I did feel anxious that I wouldn’t get finished. But ultimately I felt quite excited about exploring and developing my painting practice under conditions which were very new to me. And it was very surreal having to paint in front of the cameras. For me painting has always been a very private experience working away in my studio. But I think having your painting filmed and sharing your practice publicly definitely creates a deeper dialogue between the artist and viewer. I was really nervous at first but the crew were amazing and I just tried to focus on my canvas and the fact I was there to paint and to enjoy the experience. Finally, why do you paint? I paint because I love painting! From a young age I had always enjoyed drawing and creating art but I had a great art teacher at secondary school who really brought the subject to life. I love the physicality of painting! There’s something really enjoyable about the process of creating a painting and being able to change a blank canvas into a rich object through mark making and exploring colours and textures. I always feel like there’s something missing in me if I don’t make time to paint. 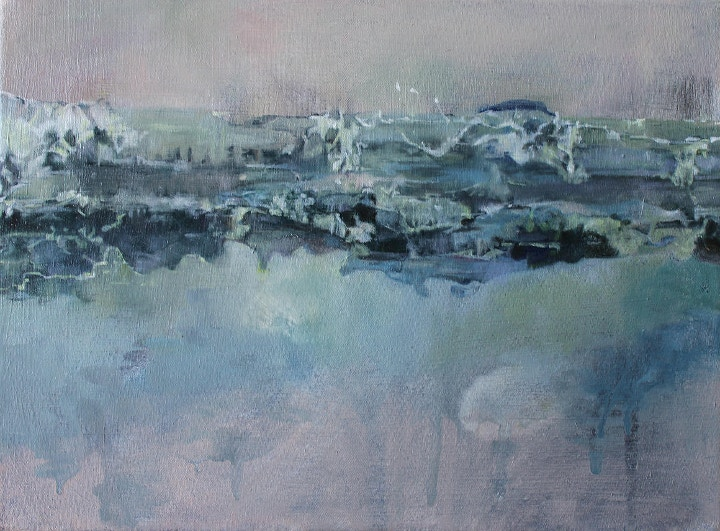 Explore more of Nerine Tassie's paintings here on her website. Find out more about Sky Arts Landscape Artist of the Year here.